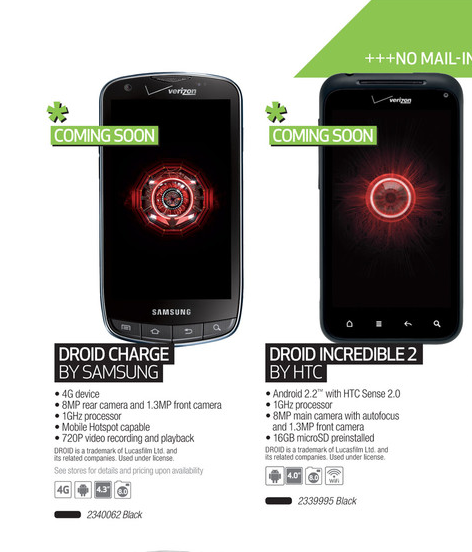 The DROID Charge has already been announced for this Thursday, April 28, but we’re still waiting on Verizon to even acknowledge that the Incredible 2 exists. We’re almost willing to throw down a bet on it also arriving in 3 days, but these release dates change faster than Alyssa Milano runs through an entire MLB bench. And while we’ve seen April 28th mentioned multiple times as the “All Channels” launch for the device, plus a bunch of accessories, retail packaging and demo units, a showcase app and even a quick appearance on Verizon’s website, we still have to wait on Big Red to say so. This is sort of a random thought, but if the Charge didn’t say “4G” in its description, would you even consider purchasing it over the Incredible 2? Actually, does the 4G matter or is the Inc2 more attractive anyway? BlackBerry Playbook Now Runs Honeycomb, Wait What?